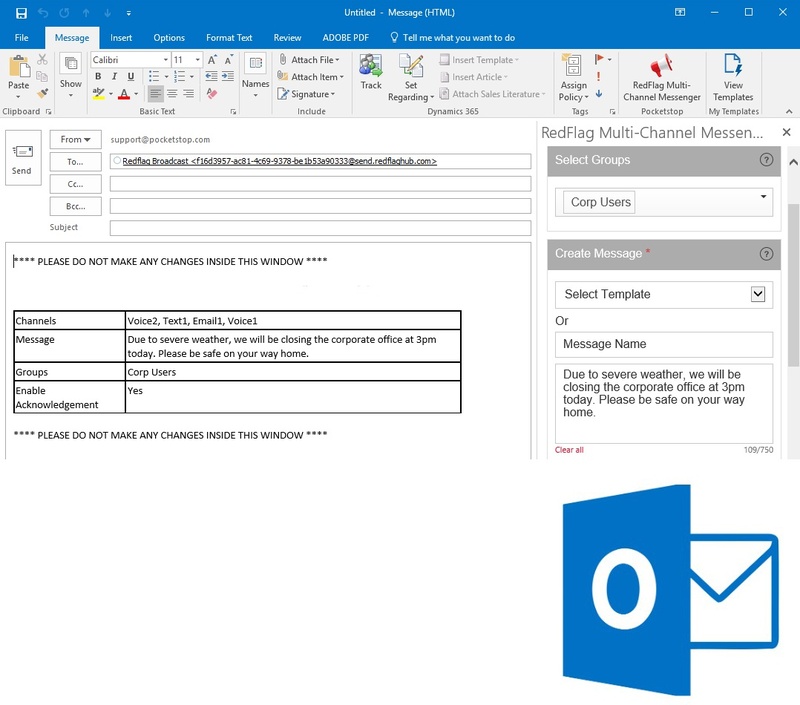 Turn Outlook Into A Powerful Text Messaging Or Multi-Channel Mass Notification System. RedFlag for Outlook is a powerful add-in that enables you to create & send messages via text, voice, social, email & more without leaving Outlook. Pocketstop is the first mass notification company to provide an integrated experience from within both the desktop & web versions of Outlook. The add-in leverages a multi-channel approach to improve the effectiveness of your communication from a platform you’re already familiar with. Static email lists can be replaced with the power and flexibility of dynamic group selection to send messages to the exact people you wish to reach via any distribution method you choose. I had a major power loss in one of my buildings and I used the system to provide notice and updates. It was extremely easy to do from my iPhone. RedFlag has very quickly become the center of our communication plans. For Access To The Microsoft Outlook Add-In, Sign Up For Your Free Trial.